Niger health authorities said today ‘they had found a fake version of a meningitis vaccine after launching a vaccination campaign to inoculate 5 million children against the disease. The Ministry of Public Health Dr. Idi Illiassou Mainassara said on March 15, 2019, the bogus vaccine, Mencevax ACWY, had been discovered during a "routine inspection" in the Niger capital city of Niamey. An investigation is underway to try to ascertain how many of the fake vaccines have been used, the spokesman said. The fake vaccine is marked as having been manufactured in December 2016, with an end-date for use by November 2021. In a statement, Dr. Mainassara asked doctors to be vigilant over this "counterfeit" vaccine. Niger is a country that lies in the so-called "meningitis belt" stretching from Senegal in West Africa to Ethiopia in the east. The Meningitis Belt is where outbreaks of the disease are a regular occurrence, says the World Health Organization (WHO). In December 2010, a new meningococcal A conjugate vaccine was introduced in Africa through mass campaigns targeting persons 1 to 29 years of age. As of November 2017, more than 280 million persons have been vaccinated in 21 African belt countries. The vaccine is remarkably safe and cheap. In addition, its thermostability allows its use under Controlled Temperature Chain (CTC) conditions. Its impact on carriage and the reduction in disease and epidemics is significant: a 58% decline in meningitis incidence and a 60% decline in the risk of epidemics were described. It is now introduced into routine infant immunization. Maintaining high coverage is expected to eliminate meningococcal A epidemics from this region of Africa. However, other meningococcal serogroups such as W, X, and C still cause epidemics and around 30 000 cases are reported each year in the meningitis belt. WHO is committed to eliminating the meningococcal disease as a public health problem. Meningococcal meningitis is associated with high fatality (up to 50% when untreated) and high frequency (more than 10%) of severe sequelae. Early antibiotic treatment is the most important measure to save lives and reduce complications. Previously, the US Centers for Disease Control and Prevention (CDC) had issued Travel Alerts for Polio in Niger on December 14, 2018. 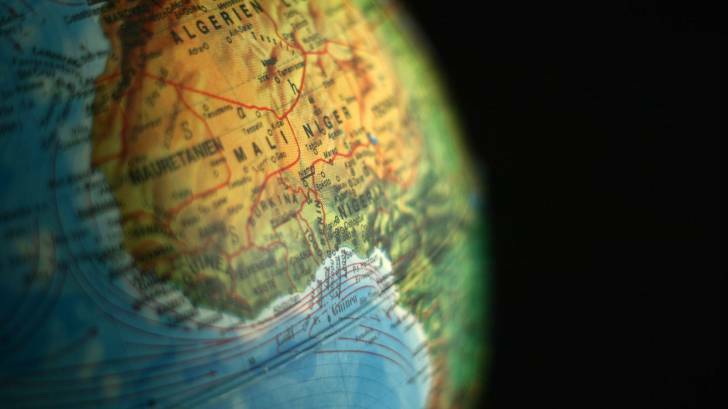 The CDC recommends that all travelers to Niger be fully vaccinated against the polio virus. The CDC recommends vaccination with a meningococcal conjugate vaccine for all preteens and teens at 11 to 12 years old, with a booster dose at 16 years old. Teens and young adults (16 through 23-year-olds) also may be vaccinated with a serogroup B meningococcal vaccine. Separately, on February 15, 2019, the US Department of State issued a Level 3 Travel Advisory, Reconsider Travel, regarding safety and security risks in Niger.